The vision of a Tibetan cultural center in Sershul that demonstrates traditional Tibetan architecture while providing essential monastery and cultural activities has been fulfilled! While the initial plan was to construct the building, the Kilung Monastery was able to purchase a traditional Tibetan home spectacularly located along the Womchu River, with panoramic views of the mountains. It is conveniently close to the city center but far enough away to be peaceful and quiet. The architecture uses large wooden beams and pillars. Inside, the walls and ceiling are painted with colorful Tibetan images, designs and Buddhist symbols. 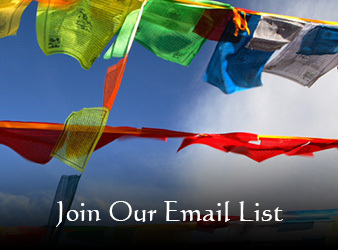 The entire building is inspiring to those who want to preserve Tibetan traditions that are in danger of being lost. This is particularly important with the younger generation who are becoming familiarized to cement block-style cement buildings. Sershul House is surrounded by a spacious courtyard. A strip of land outside the main perimeter wall has been developed into a row of rental apartments and now houses a caretaker and several Tibetan families. Home. 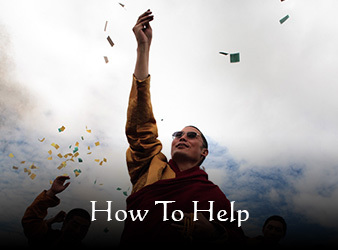 The house will provide a home base for Kilung Rinpoche when in Sershul. It will provide temporary residence for Kilung monks and lamas, and those who volunteer for the Kilung Foundation, or the monastery. Several staff will need to live there, as well, which may include family. Center. It includes a large shrine room where medium-sized groups can gather for pujas and teachings plus a large living room and dining hall that accommodates space for meetings and celebrations. Office. 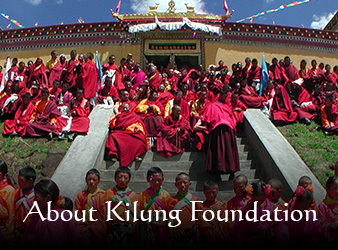 The work of Kilung Monastery and Foundation has for years been calling out for an office in Sershul. Having this office staffed by Kilung monks or others now makes possible all kinds of business, including easing Kilung Rinpoche’s long-distance monastery and project management, transcribing sacred texts, and teaching office and computer skills. It also gives a town presence for the monastery and foundation. Additionally, there is a space planned for a small separate visitor’s office, including internet. Guesthouse. When travel restrictions to Dzachuka are lifted, a small bed-and-breakfast-style guesthouse will be run for visitors to Dzachuka who will have the chance to experience traditional surroundings in Tibetan atmosphere. The guesthouse, while helping to support the operation of the house, will provide amiable accommodation for friends of Kilung Monastery and Foundation, and for those seeking an authentic experience. The aim will be a welcoming and peaceful sojourn with cultural and social facets.